Successful office relocations require much planning and skills and that is something that we excel at. If your business has to be moved to a new location somewhere around Chingford we are confident enough to say that we can manage the task better than anyone else in the area. 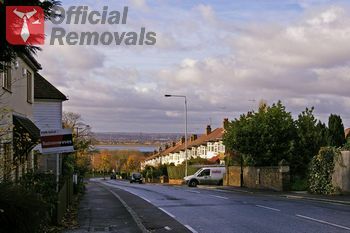 There is a reason why when it comes to office removals in Chingford no other company is better than us. We have carried out thousands of Chingford office removals and what we have learned from them is that every project differs from the next. That is why in order to achieve the optimal results careful planning is a must. When you first contact our knowledgeable and polite customer service at the phones provided or via the online contact form we have set up on our website, you will discuss your project with a specialist in the area who knows the industry inside out. There is no need to say that you will be provided with a free no obligation quote for your project, but what is more important is that every little detail concerning your office removal will be discussed and the manner according to which we would proceed moving your office will depend on those details. Of course, you would be asked whether you have any personal preferences or requirements we have to know beforehand, so that we are sure we would live up to your expectations. Your satisfaction is our ultimate goal. Do not hesitate to ask if you have any questions – we would be glad to answer them and take away all your worries. If professional attitude and impeccable training are the things you are after in your office removal company, then do not think twice about calling us. We are always here for you. Using the latest technological advances and the experience that we have gained building our reputation of being the leading contactor in our field, we will move your office to the neighboring building or across the district and we would do it up to all the highest standards of the business. Neither you nor we would be satisfied by anything less. Commercial removals are one of our main specialties. Unlike other moving company we don’t relocate only offices but all types of business establishments such as stores, art galleries, public houses, hotels and hostels, commercial warehouses, manufacturing facility and etc. It is because of the fact that we provide comprehensive, affordable and reliable man and van services that we are the favorite movers of the Chingford business owners, so stop wasting valuable time and give us a call today, so that we can fit you in our flexible schedule and discuss the details of your move. Queen Elizabeth’s Hunting Lodge is one of the area’s most visited and well-known landmarks. Originally known as the Great Standing, the property was built during the mid-16th century for King Henry VIII. It is situated in the Chingford Plain and is open for pubic visitations. The Friday Hill House is another famed local buildings which attracts both local and foreign visitors.